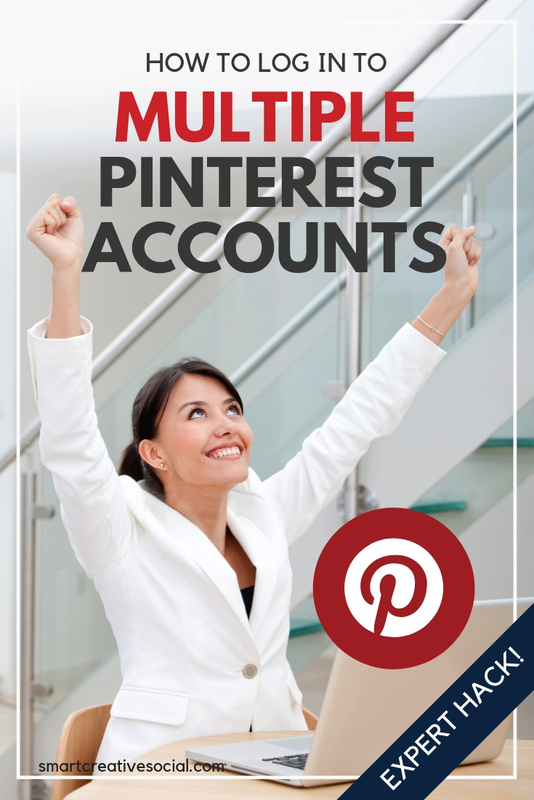 Do you manage multiple Pinterest accounts? 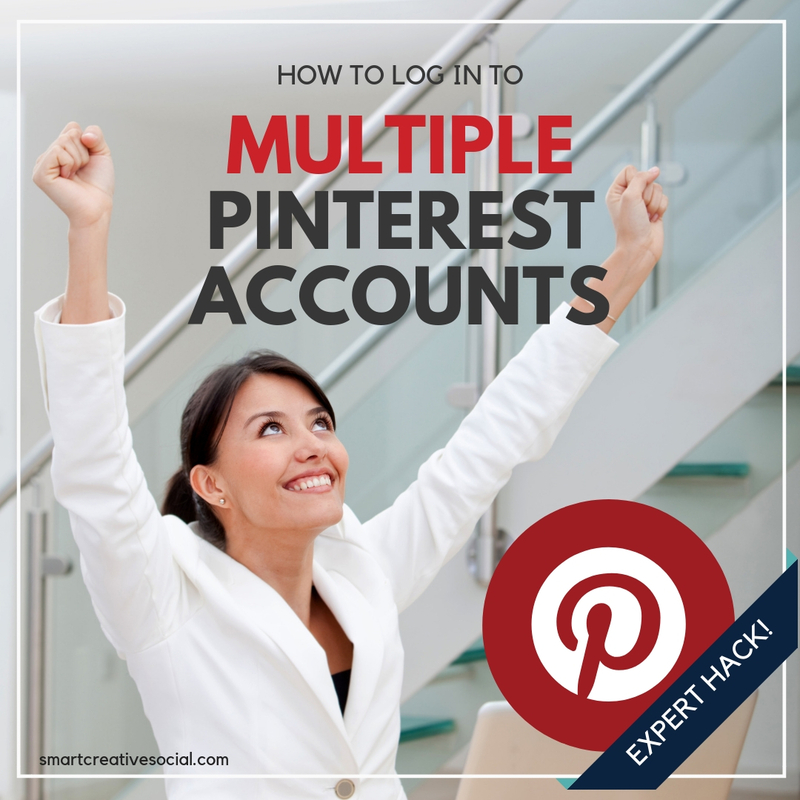 Then you probably have been longing for the day when Pinterest allows you to login to multiple Pinterest accounts at one time. Well, that day is here! I discovered this hack in September 2018 and am super excited to show you how. Weary social media managers, keep reading to get all the deets on how to login to multiple Pinterest accounts at once. Why would you want to login to multiple accounts? Who needs to log in to more than one Pinterest account? You’d be surprised! How did I find out about this feature? I use Tailwind, a tool for scheduling Pinterest posts, to manage my Pinterest account. It’s easy to avoid visiting the Pinterest platform because I can do everything I need in Tailwind. I usually spend a few hours on the 25th of each month scheduling the bulk of my pins for the following month. So not only don’t I need to visit Pinterest, but I also rarely need to log in to Tailwind. Why is Tailwind the Pinterest tool of choice? I love the efficiency Talwind offers. I can literally schedule all of my pins for a month within just a few hours of working. It’s saved me so much time that I can then use on other things in my business that matter, like keyword research and making my content as amazing as possible. As a social media manager and strategist, I also use Tailwind’s powerful analytics tools to manage my client accounts and keep tabs on their data. I especially love the Board Insights tool that helps me make decisions about the health of any group boards I’ve joined on my accounts or via client accounts. SIGN UP here to get a free trial of Tailwind today! Why do I still log into Pinterest daily if I am using Tailwind? I use Tailwind to schedule my pins and to collect analytics data I can use for decision making in my content strategy. But I also log in to Pinterest daily from both a mobile device and desktop. Why? By logging in to the Pinterest platform daily, I gain significant insights into the experience pinners are having as they discover content. I know what it’s like to search on Pinterest and learn how it serves up ideas. This insight helps me position my pins better visually and with keywords. I also see changes and improvements to the platform before many other people write about them. Just this week I saw the way hashtags display on pins change three times. Some changes like that are temporary glitches or minor changes Pinterest is making. You’ll learn how to tell the difference between a glitch and a possible long term change to the platform when you spend more time interacting with the platform day to day. And that helps you stay ahead of the panic that often sets in when people who are not familiar with the platform see a glitch. You’ll realize that glitches happen almost every day on every platform. By logging in every day, you’ll also get the opportunity to discover new features as soon as they roll out. 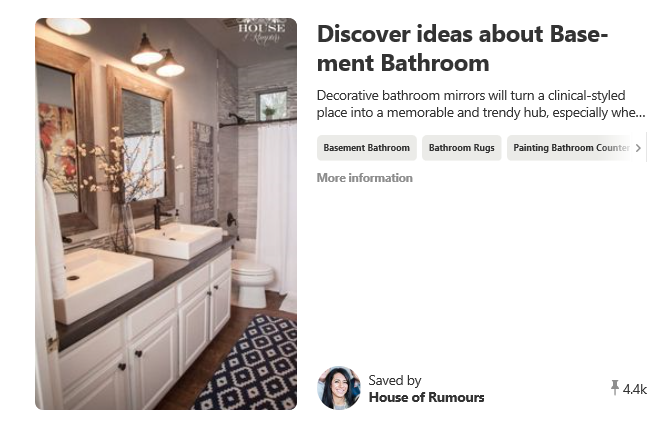 And sometimes you find and experience these new features before Pinterest has officially announced them. This change that allows multiple logins that I describe in this post has not yet been announced! But I spotted it because I am on the platform logged into multiple accounts every day. Pinterest’s multiple accounts function works a lot like the same feature on Instagram. From a dropdown menu, you can switch accounts from a list of accounts you’ve logged in under. At the bottom is an option to add another account to the list. From the home page, click the down arrow to the right of your Pinterest username. Click the button to “add account”. Login to the new account with your password and log in information. You will be redirected to the newly logged in account and the new account will appear in the list in the drop down menu. Now that you’re all logged in, how do you switch accounts? From the drop down menu, choose the account you’d like to switch to. How many accounts can you log into at one time with Pinterest? You can log into up to four accounts at one time. How can I remove one account from my account list? It’s unclear how to remove one account. When you log out of one account, you’re logging out of all 4 connected accounts at once. When you log back into any of one of the connected accounts, you’ll automatically be logged into them all. I’ve logged in and out multiple times and sometimes the account I logged out from drops off the list. This feature may be glitchy as it is still early days as of the writing of this post. What if I need to manage more than four Pinterest accounts? Consider using multiple browsers or multiple devices to log into each set of four accounts you manage. For example, you could log into accounts 1-4 on the Google Chrome browser and then log into accounts 5-8 on the Microsoft Edge browser on the same device. Does this only work for business accounts? You can log in to both business and personal accounts with this feature. This feature actually popped up on a brand new personal account I opened for experimentation purposes. I don’t see this on my account. How can I get it? I am not sure if this feature is rolling out to accounts over time or not. I was logged into account A in one browser and account B in another browser. Then next time I logged into Pinterest, the feature was available. I am not sure what the magic is … but if you don’t have the feature yet, try logging in as I describe via multiple browsers. Remember how I said I like to login to Pinterest every day to get insight into the pinner experience? Also try logging in with both business and personal accounts from a variety of mobile and desktop browsers. This will give you insight as to how your content displays on the platform in different settings. Check out this pin that looks completely different depending on the type of account viewing it and the browser it’s been displayed in. 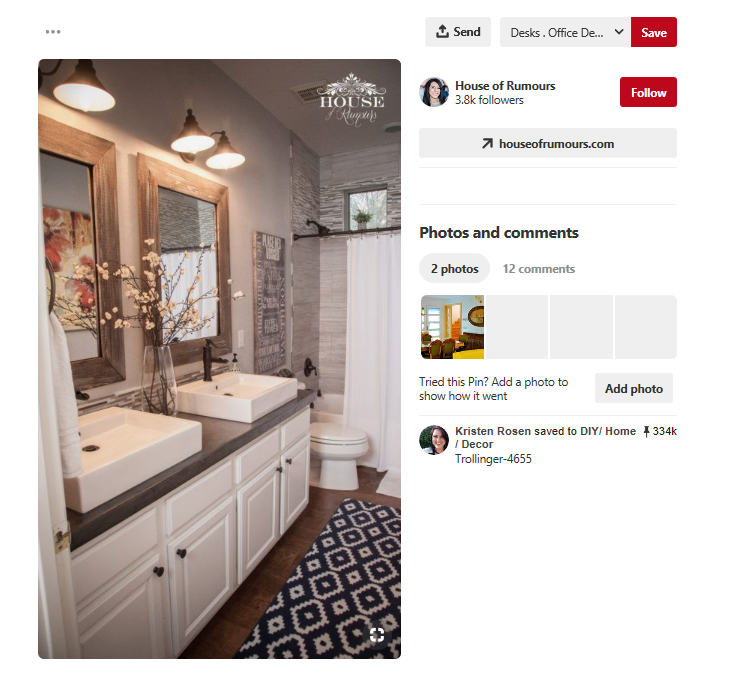 The above pin is viewed in Chrome on desktop while logged into a personal (not business) Pinterest account. 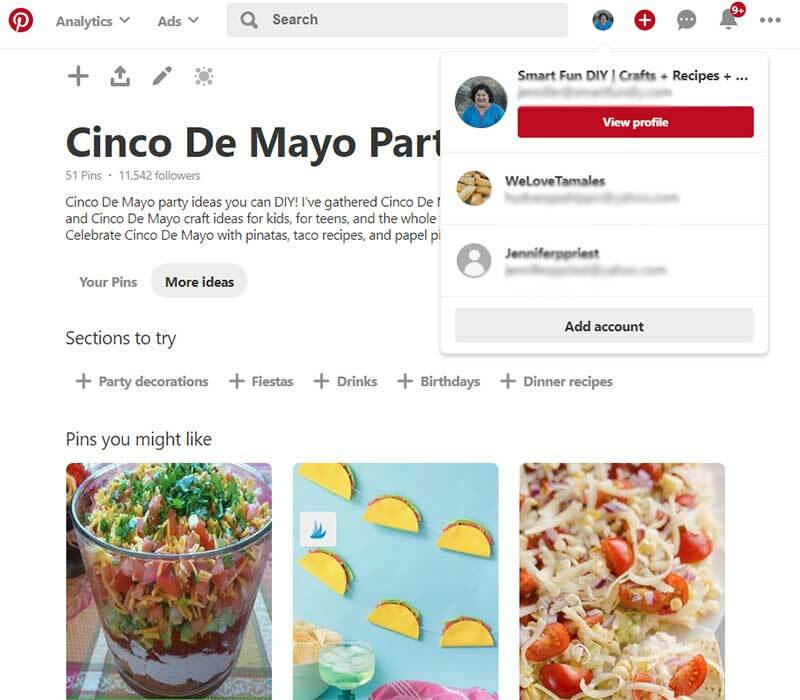 This is the view of the exact same pin via desktop on Microsoft Edge while logged into a Pinterest business account. And finally, above is the view of the same pin while logged out of Pinterest, as seen via Microsoft Edge on desktop. Notice how I can see totally different information about the pin in each case? When you are able to see these kinds of changes, you can then create content that functions better in this varied Pinterst environment. And that means better performance and more traffic. When’s the last time you logged into your Pinterest account? Login to Pinterest today. Link your accounts using the tutorial above. And then set a reminder to check in to Pinterest every day. I bet you’ll see a difference in how you create your content for Pinterest after this!